The Mountain Loop Highway is home to many popular cascade hikes and climbs. There is no doubt that the scenic beauty of the Mountain Loop Highway Peaks far exceeds that of the I-90 corridor Peaks. There is more diversity in wildlife, foliage, and summit blocks are generally more rugged and exposed. 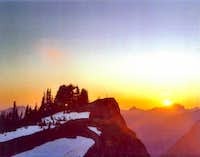 The Mountain Loop Highway is a well kept secret among the locals of Washington State with the exception of Mount Pilchuck, trails are seldom crowded and tranquil isolation is the norm. Where to Set the Boundaries? 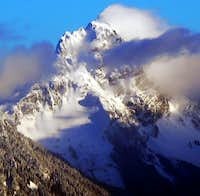 Many people recognize the Mountain Loop Highway from Granite Falls to the city of Darrington which is where the road is officially labeled the "Mountain Loop Highway". But the highway by itself is not a full loop, but more of a curve. Other folks say the entire loop is from Arlington, to Darrington, to Granite Falls back to Arlington which completes the loop. From a geographic point of view this supports the full loop idea considering that the full loop follows the North and South fork of the Stillaguamish river. So it's up to you to decide, a debate on this can be seen on Nwhikers. For the sake of reducing confusion I've decided to have this page dedicated to the entire loop as seen in the map below. But the main focus will be on the peaks along the labeled part of the highway. The mountain pages attached to this page are not limited to inside the Mountain Loop Highway. 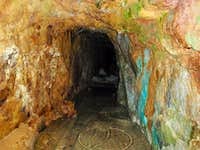 They include access to forking roads to places like Monte Cristo, North Fork Sauk (Glacier Peak), and a few other minor roads branching off the Mountain Loop Highway. View Google Map Directions here. From Seattle: Head north on I-5 until you arrive at exit 194 which turns right onto highway 2. Across the trestle take a left onto highway 204 towards Lake Stevens. About 2.6 miles later the highway ends which is where you take a left onto highway 9. After about 1.7 miles of highway 9 take a right onto highway 92 to Granite Falls (Granite Falls Highway). At Granite Falls take a left onto the Mountain Loop highway (Highway 92). From here the highway takes you all the way to Darrington. The Verlot ranger station can be found a little ways after Granite Falls. View Google Maps Directions here. From Seattle: Take I-5 north until you arrive at exit 208 which takes a right onto highway 530. The highway briefly takes a left in down town Arlington onto highway 9 which a few seconds later be sure to turn right back onto highway 530 east to Darrington. At Darrington take a right onto the Mountain Loop Highway (left follows highway 530 further). From here proceed to what ever mountain you would like to go to. 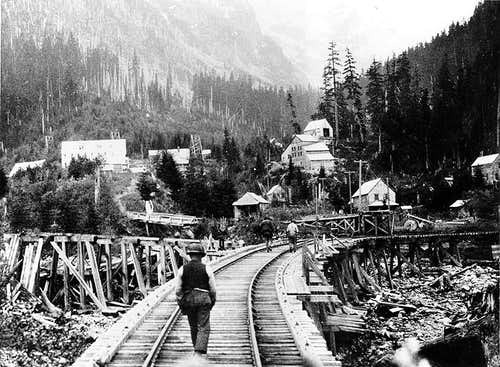 One of the first reasons for the development of the Mountain Loop Highway was the mining town named Monte Cristo. Monte Cristo was founded in 1889 and was completely abandoned, becoming a ghost town in 1907. The land was preserved and protected by Henry M. Jackson, the was governor of the state. 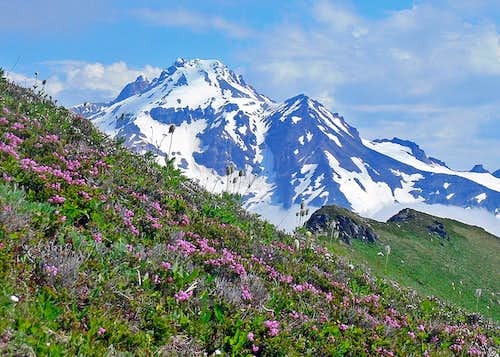 Now there is a preserved area called the Henry M. Jackson Wilderness. A Northwest forest pass is required for most of the trailheads along the Mountain Loop Highway. They cost 30$ per year which more info on them can be found on the forest service website. 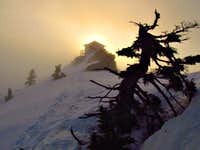 A Discovery Pass is required for Mount Pilchuck, Mount Higgins trailhead, and Ashland Lakes. The cost of one is 10$ per day or 30$ per year. For up to date information on the Mountain Loop Highway be sure to contact the Darrington Ranger Station. Darrington Ranger Station (360-436-1155) 1405 Emens Avenue North, Darrington, WA 98241 Monday-Saturday 8 a.m. - 4:30 p.m.
Verlot Public Service Center (360-691-7791) 33515 Mountain Loop Hwy, Granite Falls, WA 8 a.m. - 4 p.m. There are many places to camp along the Mountain Loop Highway whether you are dirt bagging it or want a nice paid for campground. 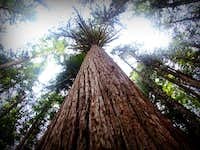 Most of the "official" camp grounds are right off the road which include the Verlot Campground, the Bedal Campground, Turlo Campground, and Clear Creek Campground. Prices range from 14-16$ per night and are usually open from April until November. 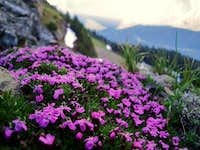 Now for those of us who love a more alpine camping place there are plenty of nice places. 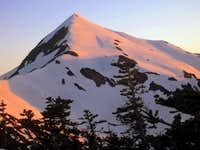 I'll name off some good examples of places to camp: "Vesper Lake" , Gothic Basin, Mount Pilchuck Lookout, Lake Metam/Stujack Pass (Mount Pugh), Stillaguamish Ridge, and the Three Fingers Lookout. We will not name all the wonderful spots here. Go find them yourself. Remember to go during summer or early fall, unless you feel like climbing up steep snow which is not recommended for beginner hikers. If you do not like mosquitoes I might recommend somewhere else, or bring bug spray. Check in with the National Forest Website for more information on the current road and trail conditions. For weather information, check in with the Noaa forecast. Also be sure to check in with the Northwest Avalanche Forecast for a idea of how the snow conditions are. Keep in mind they close during the Spring months which often still has avalanche danger on some of these peaks. The Mountain Loop Highway is usually open May though mid October. The snow pack plays a big role with the opening of the highway. Some years they are open to Barlow Pass in February, others they are closed until June. Be sure to check on the road conditions before leaving. 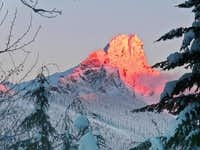 During the winter months the highway is closed from Silverton to a gate near Mount Pugh (towards Darrington). The gate on the southern side is about 3 miles from the Big Four trailhead, on the Northern side it's around 9 miles south of Darrington.